About: Funds for the purpose of enhancing Open Space were given to the towns in Dutchess County where the Iroquois Pipeline was run, carrying Natural Gas from Canada to New York City. 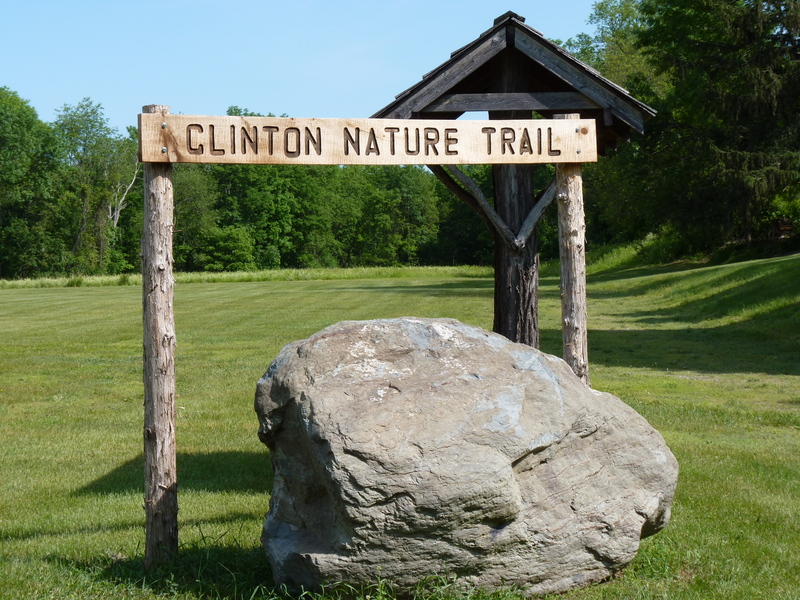 In 1992, the Town of Clinton used these funds to purchase 24.2 acres to become the Clinton Nature Trail. Wildlife: Barn Swallows, Chimney Swifts, and Killdeer nest nearby, in and around the town buildings. Start at the kiosk for a map and brochure. In the spring and summer, the trail around the meadow has Eastern Bluebirds, Tree Swallows, and House Wrens nesting in the bird boxes; butterflies such as Common Ringlets, Little Wood Satyrs, European Skippers and Pearl Crescents, and dragonflies such as Common Whitetail, Green Darner, Painted Skimmer and Widow Skimmer can be seen. The Streamloop leads to the Little Wappingers Creek through a wooded wetland. Sit on one of the benches by the creek. Catbirds, Eastern Towhee, Red-bellied Woodpeckers, Eastern Wood Peewee and Common Yellowthroat can be heard or watch Ebony Jewelwings lay their eggs in the creek. In the spring, Canada and Wilson’s Warblers might be spotted amongst the Hawthorn. Red-tailed, Broad-wing, and Red-shouldered Hawks are regular visitors. From Salt Point Village take Dutchess CR18 north 6 miles to Clinton Town Hall on the left. Walking Distance: Less than 1 mile (easy). Allow 1 or 2 hours.